Product categories of Compound Steel Grating, we are specialized manufacturers from China, Compound Steel Grating, Galvanized Compound Steel Grating suppliers/factory, wholesale high-quality products of Compound Welded Steel Grating R & D and manufacturing, we have the perfect after-sales service and technical support. Look forward to your cooperation! 1. Compound grating is a product made of Steel Grating with certain crossing and carrying capacity and checkered plate with seal surface. 2. 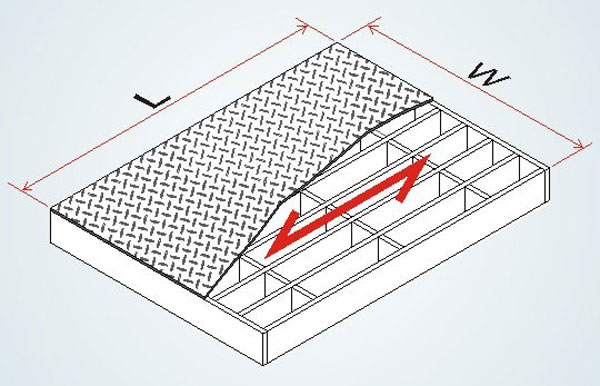 Compound grating will generate buckling deformation due to thermal stress after hot dip galvanizing, and larger steel grating has difficult levelling, so please note type selection. 3. Compound grating uses series 3, series 1 or series 2 steel grating as bottom plate; riffled plate commonly uses 3mm thick plate, 4mm, 5mm or 6mm plate. 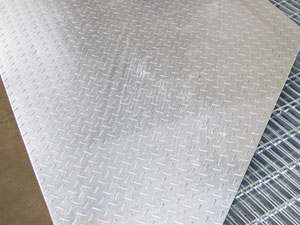 Economical/ durable/ high strength- to- weight ratio Versatile/ Low maintenance surfaces Serrated (slip resistant). Compound Steel Grating is widely used in the platform, corridor, bridge, well covers and stairs fencing for petroleum, chemical, power plant, waste treatment plant, civil engineering projects and environmental projects. 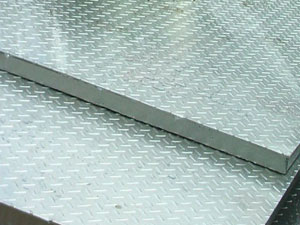 Because of its robust design and spanning abilities, this kind of grating is extremely strong and safe for the supportive structures on decking`s mezzanine floors and elevated walkways.